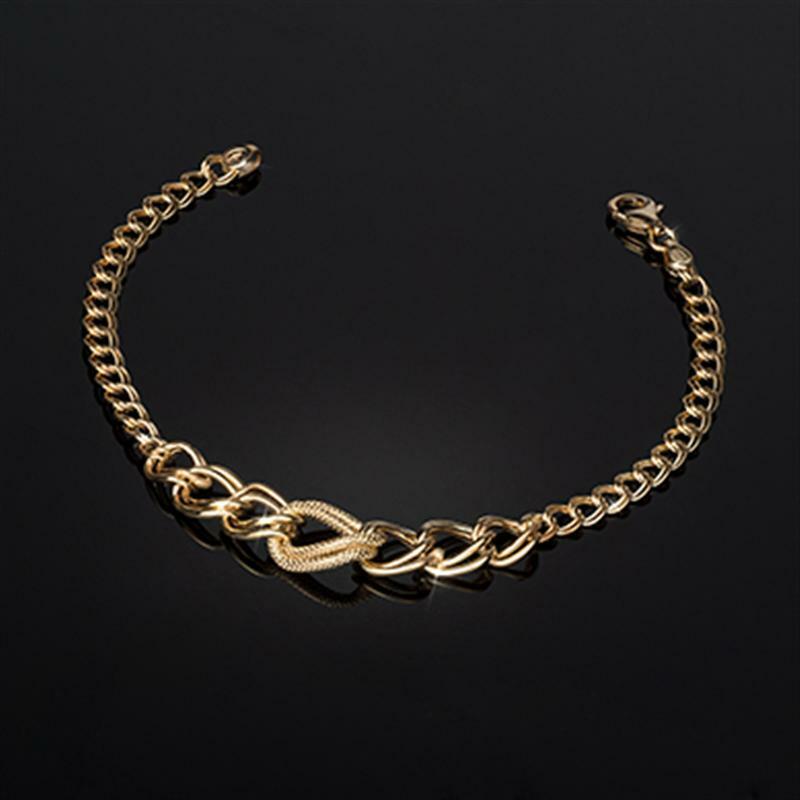 The jewelry of Italy, with its sensual beauty and extraordinary craftsmanship, is world renowned. Which can also make it prohibitively expensive. But we have a way with making the best affordable. Bypassing the middle man, we went directly to a family-owned workshop in Arezzo to seek out the talents of Pietro Ferrini and Rodolfo Grotti who have been transforming precious metals into wearable art for over fifty years. Their artisan jewelry combines age-old Etruscan metalsmithing techniques with innovative design. Today, we bring their beautiful pieces to America and have given them a remarkable Stauer price. The Ultimate Indulgence Necklace comes in your choice of 14K Italian gold or 14K Italian gold over sterling silver. Either way you win, as our artisans have successfully brought out every ounce of luxury contained in these timeless precious metals. The middle links are textured, while the rest shine bright from a high polish. This necklace exudes a luxe look while being incredibly feather light. This is your golden opportunity to indulge in spectacular Italian gold design at an almost unheard of price. Satisfaction guaranteed or your money back. Enjoy the Ultimate Indulgence Necklace for 30 days. If you aren’t perfectly happy, send it back for a full refund of the item price. Limited reserves. Each necklace is handcrafted in Italy and takes months to complete, so we can only secure a limited number. Don’t miss this opportunity to indulge in handcrafted Italian gold that treats you to a most remarkable price.